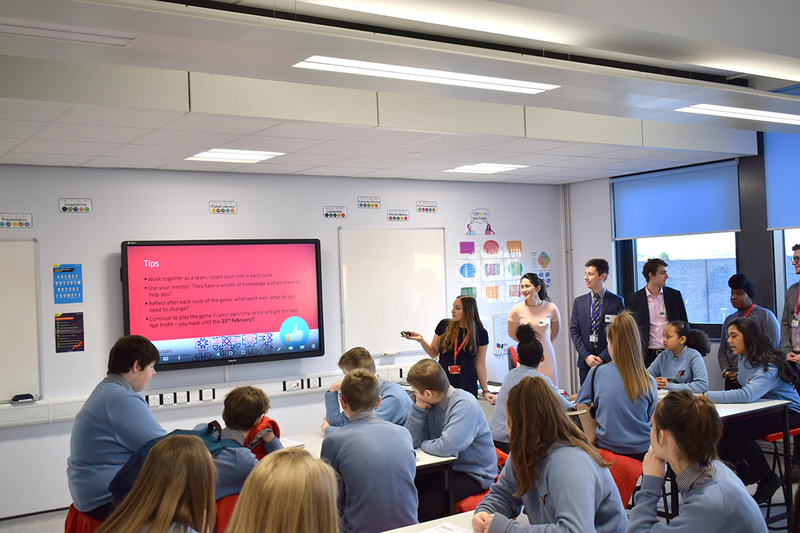 CIAG Report – MOSAIC Enterprise Challenge 2018 – Year 9 Mean Business! Home/News/CIAG Report – MOSAIC Enterprise Challenge 2018 – Year 9 Mean Business! 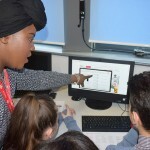 January marked the start of The Prince’s Trust’s MOSAIC Enterprise Challenge for 2018, a national enterprise competition where students compete in an online business simulation that replicates the real world and teaches young people the leadership, teamwork and enterprise skills needed to succeed in the world of work! 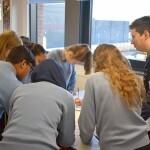 This year over 4500 students around the UK are taking part for the chance to win a place at the national finals in London and a number of incredible prizes, including £2500 for their school and an all-expenses paid trip around the nation’s capital, and our students at The Ruth Gorse Academy are no exception! On Thursday 25th January, 40 of our Year 9 students took part in a full day off their normal school timetable to work with business mentors from The Prince’s Trust, KPMG and the Civil Service to learn more about how businesses run and some of the many factors companies have to consider when trying to make a profit, such as production costs, market research, stakeholder interests and maintaining a steady cash flow. Split into teams of five, our students started their day with a get-to-know-you activity with their respective business mentors and then began looking at a series of ethical case studies about businesses such as McDonald’s and TOMS, answering questions about why these companies need to be environmentally conscious to gain a better understanding of corporate responsibility and generate some much-needed points for the start of the game! 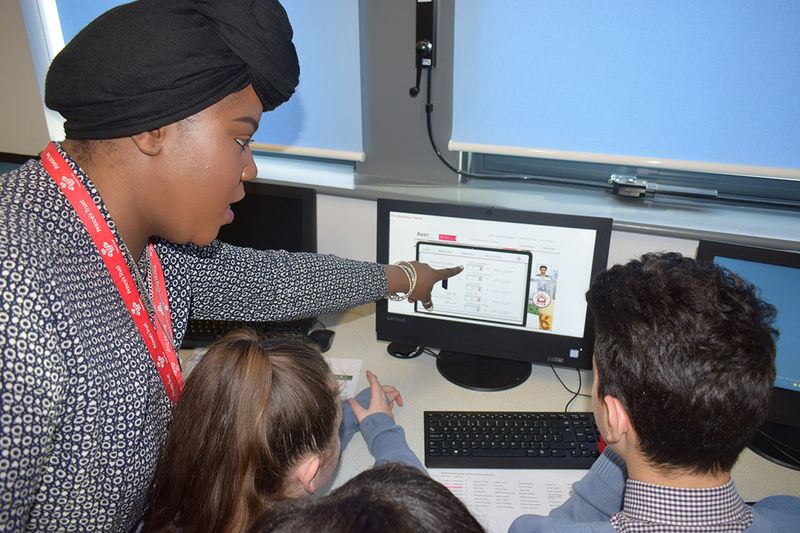 In the second part of the day, our students started the online game for real, choosing between a series of products, such as mobile phones, jewellery and cars, that they then had to market and sell to virtual customers, attempting to strike the tricky balance between production costs and sales to generate a net profit for their team! Although the teams all got off to a slow start, with major losses in the first virtual year of trading, they quickly got the hang of the game and their business acumen improved noticeably, with six out of the eight teams generating a profit of over £3 million by the end of the day! The students showed their competitive spirit throughout the whole day and were fighting to post the best profit total right to the last minute – however, there could only be one winner on the day and that was the SHMTS team of Sophie, Harry, Mikey, Tamara and Sunni, who posted a fantastic final net profit of almost £4 million! 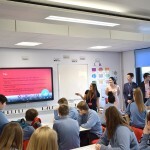 All of our students will continue to have access to the online game until Friday 23rd February, after which the top scoring students from across Yorkshire will move on to the regional finals at the KPMG offices in Leeds for a Dragons Den-style pitch and then on to the national finals in London if they are successful. 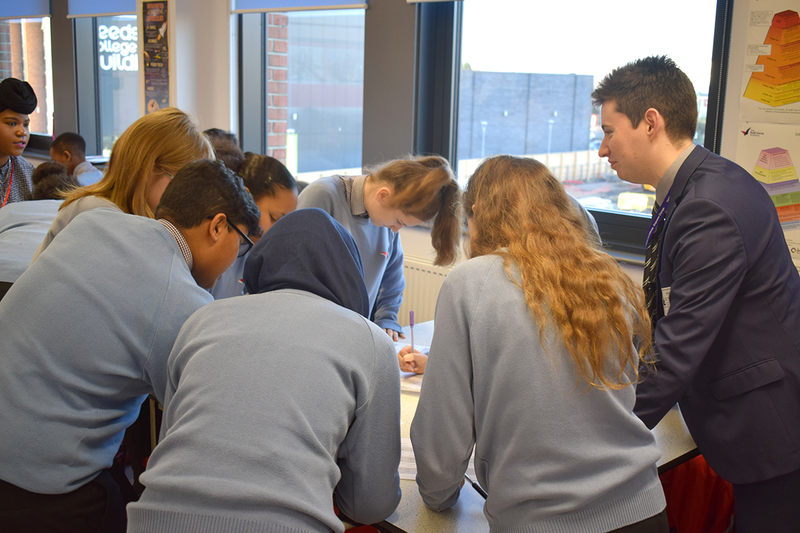 With one team of students having already posted a new best profit total of nearly £5 million, the race is on for our Year 9 students to see who really is the best in the business!